Sani, who chairs the Senate Committee on Local and Foreign Debts, revealed the jumbo pay of the federal lawmakers regarded as “hallowed secret”. In a recent interview, he said he and his colleagues received N13.5 million monthly as running cost and N750,000 as basic salary. The disclosure confirmed an exclusive report by Daily Trust that showed that the running cost of senators and Reps gulped N46 billion annually. Headlined: “ Senators, Reps share N46bn annually as running cost,” the Daily Trust report was published on October 10,2016. Signed by the Senate spokesman, Senator Aliyu Sabi Abdullahi (APC, Niger), the Senate said Sani did not disclose anything new as the figure he gave out about running cost of the offices of senators was contained in various line items and expenditure heads of the budget of the National Assembly which had been made public. Daily Trust reports that the budget of the National Assembly that had been shrouded in secrecy for over a decade was made public last year. It was however raised from N115bn to N125bn for the period under review. Contrary to the reports that filtered round that the activist-turned lawmaker was rebuked by his colleagues at an executive session of the Senate last Tuesday, it was gathered that his issue was not even on the agenda of the meeting. The session, presided over by Senate President Bukola Saraki, started by 11.07am and ended by 11.36am. At end of the session, the senators were seen in groups discussing. He also said that Sani was in the good books of the powers that be in the Upper Chamber. “He is one of the corruption fighters in the Senate. Remember the way he dealt with the issue of the sacked Secretary of the Government of the Federation, Babachir David Lawal. As the chairman of the ad hoc panel, he ensured that everything was perfectly done. “That’s why when President Muhammadu Buhari referred the ex-SGF’s matter for further probe, nothing different came out of it,” he said. Another senator said any attempt to punish Senator Sani will only expose the Senate to more attacks in view of the negative perception of the lawmakers’ pay package. “For the issue to be discussed, it has to be raised on the floor of the Senate through a point of order. Who will do this? The backlash that will follow it will be deadly especially for those of us that are from the North; the person’s constituents will deal with him,” he said. He added that Sani also escaped the hammer because, “he is not a member of those who are against the reordered election sequence. If he is in Senator Abdullahi Adamu’s camp, by now his case will be in the ethics committee. But because he is not, he is free,” he said. 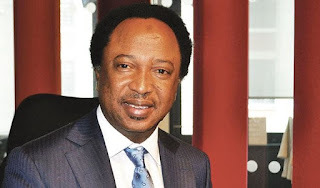 It was also gathered that Sani, who was the President of the Civil Rights Congress (CRC), was left unpunished because he is neither pro-Buhari nor pro- Vila cabals. “He is seen as fighting common enemies with the Senate’s power brokers. He has issues with the Kaduna State governor and the powers that be in the Senate do. So he is seen as being on the same page in terms of fighting enemies,” another lawmaker said.